BARCELONA, SPAIN - NOVEMBER 30, 2015: Traditional Christmas fair near Cathedral in Barcelona, Catalonia. 4k00:14Los Angeles, California-2010s: A huge protest against the presidency of Donald Trump in downtown Los Angeles. hd00:22NAIROBI, KENYA - CIRCA 2009: Crowds of people walk on the streets circa 2009 in Nairobi, Kenia. 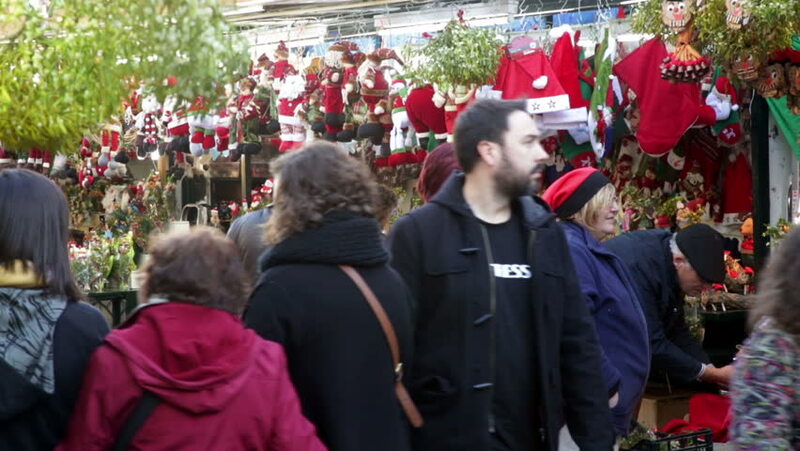 hd00:11BARCELONA, SPAIN - NOVEMBER 30, 2015: Fira de Santa Llucia - Christmas market near Cathedral in Barcelona, Spain. hd00:372018.07.07, Moscow, Russia. Football fans on Nikolskaya street. World cup 2018. Emotions of people on the Moscow street.